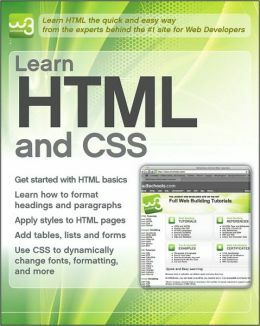 This book is a simple and comprehensive guide dedicated to helping beginners learn HTML and CSS. Outlining the fundamentals, this guide works through all common elements of front-end design and development. This book packages content in an attractive two-color design that gets beginning Web developers and designers up and running with the core Web development technologies. To-the-point tutorials with clear examples and simple explanations give novices the knowledge they need to get going with confidence.